On 19 June 1927, Rudolf Caracciola won the inaugural race for sports cars at the Nürburgring in a Mercedes-Benz Model S, marking the beginning of the Stuttgart car maker’s success in motorsport. For in the years that followed, the supercharged sports cars from Mercedes-Benz achieved many things in the racing world throughout Europe with the models S, SS, SSK and SSKL. Caracciola’s victory in an SSKL in the 1931 Mille Miglia race is acknowledged to be a particularly special triumph: he was the first winner of the thousand-mile race through Italy who was not an Italian. Mercedes-Benz offered private motorists with a yen to race the models S, SS and SSK in a version close to the racing car. 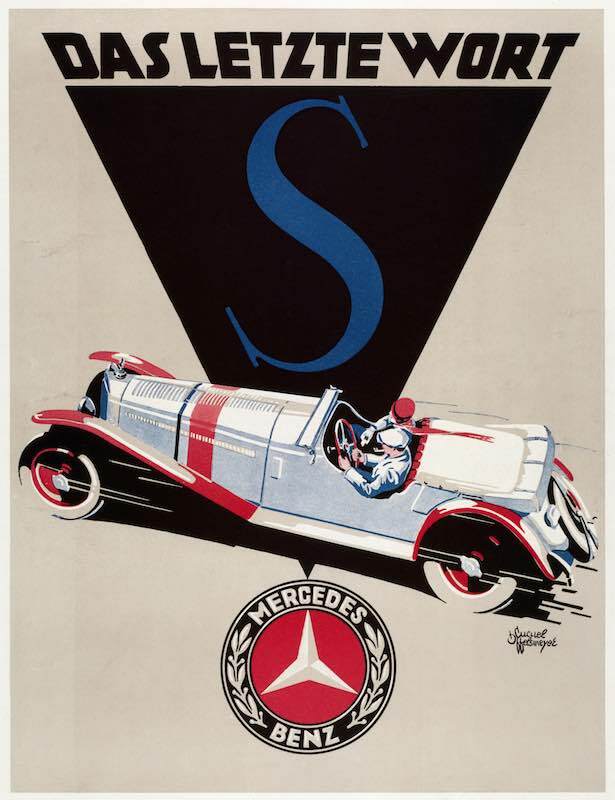 “S” for “Sport”: Great emphasis was placed on outstanding competitiveness when developing the Mercedes-Benz Model S. That was made clear by the Stuttgart brand manufacturer with its choice of designation for the supercharged touring car. On 19 June 1927 in the Eifel district of Germany, the racing car demonstrated that the Mercedes-Benz designers and engineers had really done their homework well. Rudolf Caracciola won the inaugural race for sports cars at the newly-opened Nürburgring in the Model S. The Mercedes-Benz driver achieved the fastest time for all classes with an average speed of 101.1 km/h. His team-mate Adolf Rosenberger came in second — also driving a Mercedes-Benz Model S — with an average speed of 93.6 km/h. The race took place on the “Nordschleife” (North Loop) and on the “Südschleife” (South Loop) going as far as Müllenbach. A complete circuit of the Nürburgring was thus approximately 29 kilometres long. 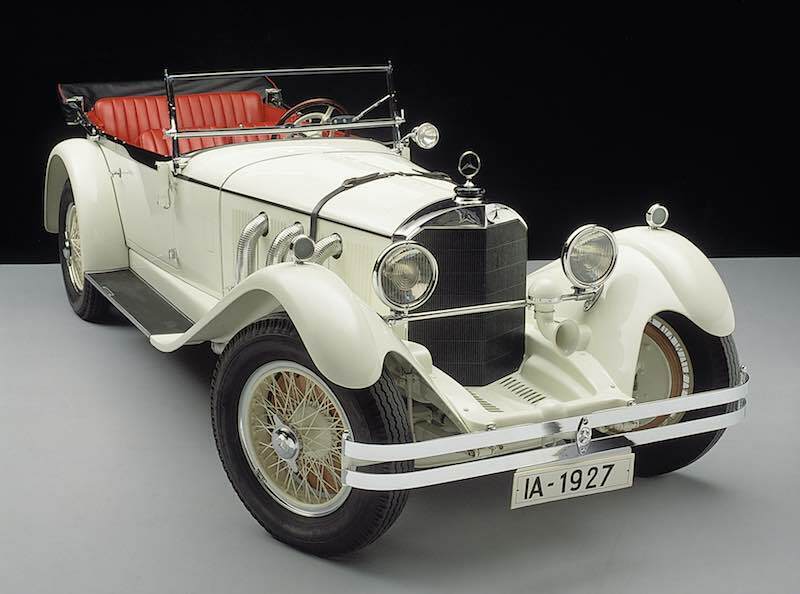 The Mercedes-Benz Model S was a development based on the Model “K” from 1926. Indeed this vehicle, based on the shortened chassis of model 24/100/140 hp, had already competed successfully in motorsport. The basic design of the powerful six-cylinder supercharged engine with impressive displacement and dual ignition was retained by the designers for the Model S. The new touring car was, however, further optimised across the board for motorsport — with increased engine output, an improved chassis and reduced weight. To give a lower centre of gravity, the longitudinal frame members were now offset on the front axle too and the offsetting was increased on the rear axle. The engineers also moved the engine, which had a lower mounting, 30 centimetres further back, which significantly improved axle load distribution. The chassis weight, at 1270 kilograms, was now some 230 kilograms lighter than that of the model K. At the same time, displacement was increased by nearly 550 cubic centimetres to 6789 cubic centimetres. This was made possible by, amongst other innovations, a change of the engine block from dry to wet cylinder liners. By increasing displacement and implementing other measures, such as fitting a camshaft with greater valve lift and shorter valve timings, the engine output provided as standard rose from 81 kW/110 hp (with the supercharger 118 kW/160 hp) in the Model K to 88 kW/120 hp (132 kW/180 hp with the supercharger) in the Model S.
Mercedes-Benz advertisement for the Model S from 1928. This new vehicle is now viewed as the first of the so-called “white elephant” models. This seemingly rather unflattering name was bestowed by motorsport fans on the high-performance sports car models S to SSKL, with which Mercedes-Benz effortlessly dominated the racing scene at the end of the 1920s and beginning of the 1930s. Certainly, these racing cars in the white colour of Germany’s racing team, were big, strong and powerful — and the infernal roaring of the supercharger also contributed to their name. But that’s about as far as the comparisons with the pachyderms can go. Following their successful debut at the Nürburgring, the Mercedes-Benz racers enjoyed further success with the Model S. Rudolf Caracciola and Willy Walb were first in their class in the Baden-Baden Automobile Tournament from 5-9 July 1927. Caracciola won the Batschari Challenge Trophy and also won in the flat race over 4.9 kilometres between Ettlingen and Rastatt with an average speed of 165.8 km/h. Just one week later, on 17 July 1927, the Mercedes-Benz works team took all three places on the podium in the German Grand Prix for Sports Cars at the Nürburgring: Otto Merz won ahead of Christian Werner and Willi Walb, all three in a Model S.
On 17July 1927, Otto Merz won the German Grand Prix for Sports Cars at the Nürburgring for the class of sports cars over 3 litres in a Mercedes-Benz Model S.
The Model S also dominated the International Klausenpass Race in Switzerland on the 13 and 14 August 1927. This mountain race posed a particular challenge to the transmission ratio design. The course has two steep serpentine stretches with significant changes in elevation at its start and end, and a comparatively long, flat stretch linking the two in the Urnerboden Alpine valley. The Mercedes-Benz Model S was entered for the national open championship on day one, and for the international race on day two. In the national championship, Caracciola won the class for touring cars with over 5 litres displacement in the Mercedes-Benz Model S, setting a new record for touring cars. This was never bettered for as long as the Klausenpass mountain race was staged, and therefore remains the record today. The Model S from Stuttgart took the first four places on 13 August 1927. 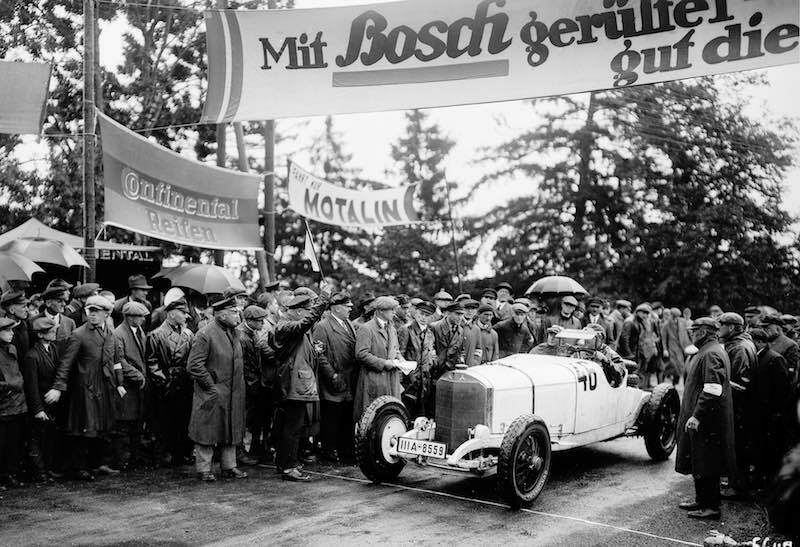 Caracciola was followed across the finish line by the lady racing driver Ernes Merck (from Darmstadt) as well as Hans Hürlimann (Zurich) and Wilhelm Merck (Darmstadt). Caracciola won again on 14 August in the international race for sports cars with up to 8 litres displacement, ahead of Hans Hürlimann and Ernes Merck. Merck won the ladies’ prize for the Klausenpass Race. Otto Merz achieved the fastest time for the day in a Mercedes-Benz Model S. Merz was competing in the class for sports cars with up to 8 litres displacement. 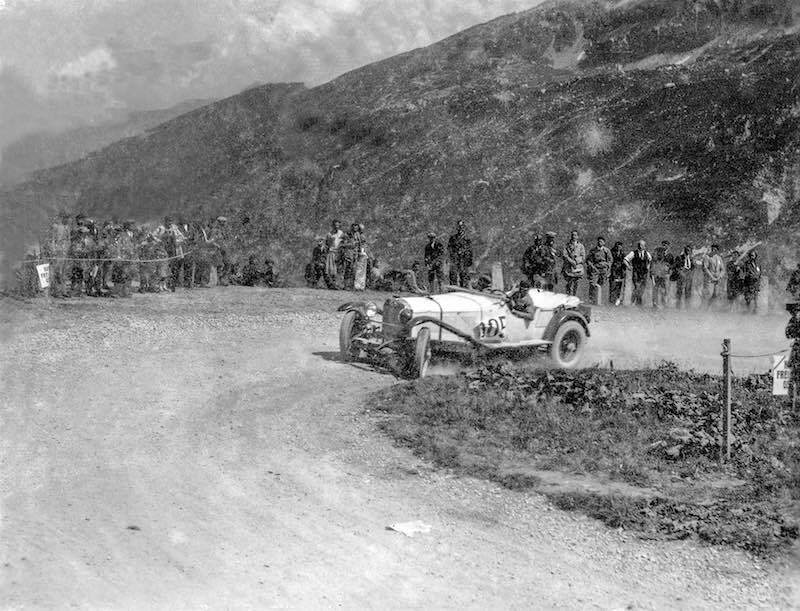 International Klausenpass Race for Sports Cars, 13 – 14 August 1927. 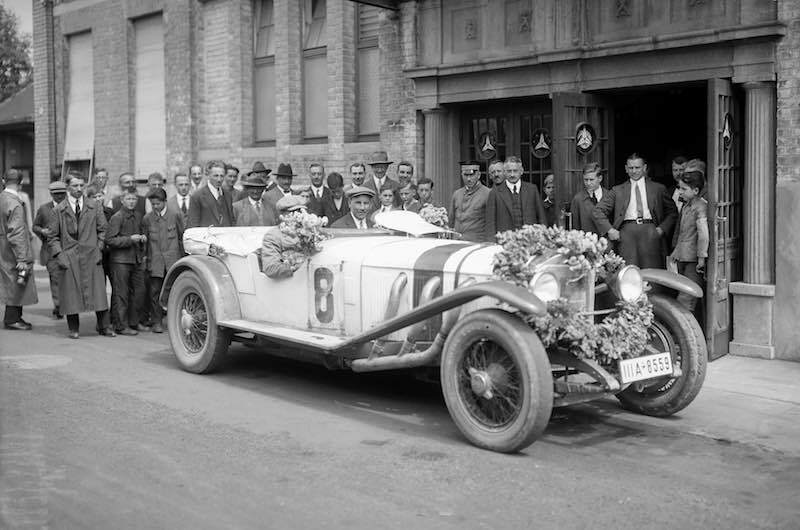 Rudolf Caracciola (starting number 105) won the class for sports cars with over 5 litres displacement in the Mercedes-Benz Model S and set the record for sports cars in the Klausenpass Race. Racing round the Solitude, 18 September 1927. Otto Merz (starting number 46) won the class of sports cars over 3 litres displacement in a Mercedes-Benz Model S two-seater racing model. The choice of configurations for the Mercedes-Benz Model S sold commercial to private customers was as varied as its racing successes. This ultimate in racing cars was also sold ex factory as a four-seater open touring car and as a cabriolet. In addition, many coachbuilders of repute, such as Erdmann und Rossi (Berlin), Freestone and Webb (London), Papler (Cologne), Saoutchik (Paris), van den Plas (Brussels) and Zietz (Geneva), took the chassis and fitted bodies of their own. The Model S was replaced by the models SS and SSK, also bearing the internal designation W 06, as early as 1928 in the Mercedes-Benz range.